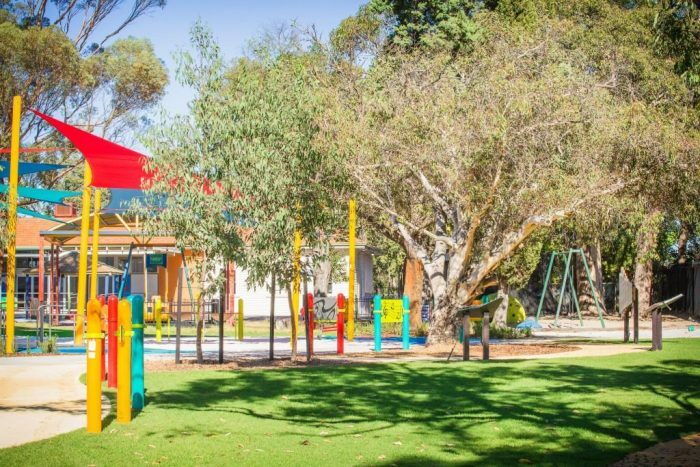 Kenwick School caters for students K-12 with disabilities and a diverse range of abilities and support needs. 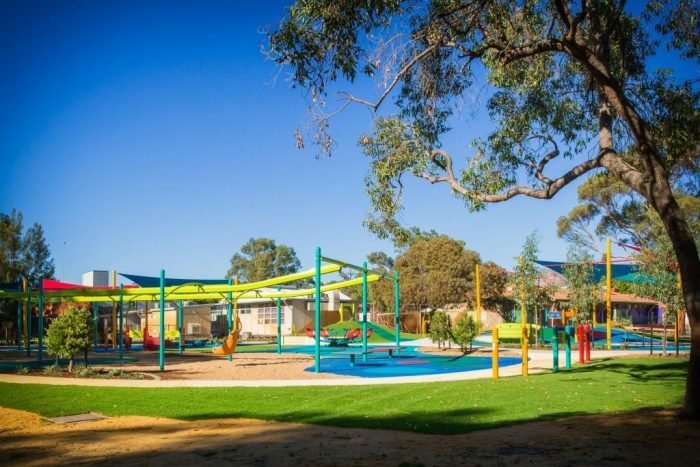 When we met Mark and the team there was little funding to develop a playground for the School so we were thrilled to be able to work with the school to develop an integrated long term master plan that would set the scene for great things! 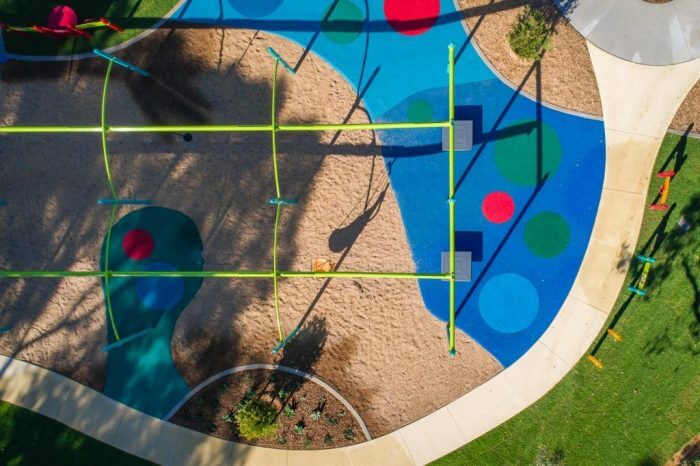 Designed to offer a timeless landscape with innovative, exciting and challenging sensory activities that are inclusive beyond accessibility, the space had a 3 stage vision to incorporate a cycling path, island play, water/misting, bare footpath, music and inclusive play for all ages and abilities. 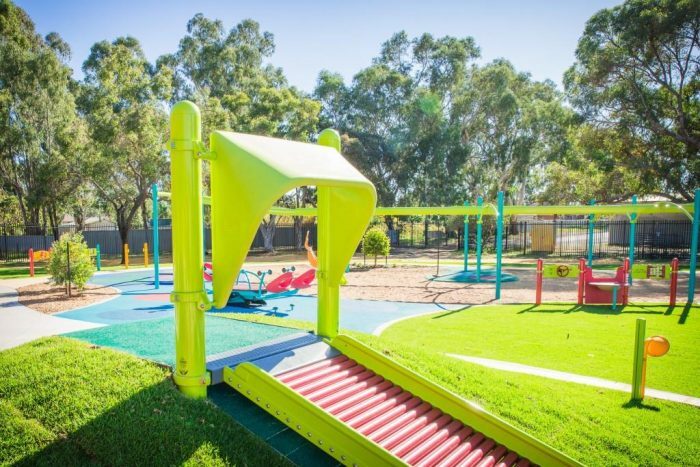 One of the striking pieces within the playspace is the 2-Bay ZipKrooz with one bay having an accessible moulded harness seat so that users with limited upper body strength can fly with their friends. 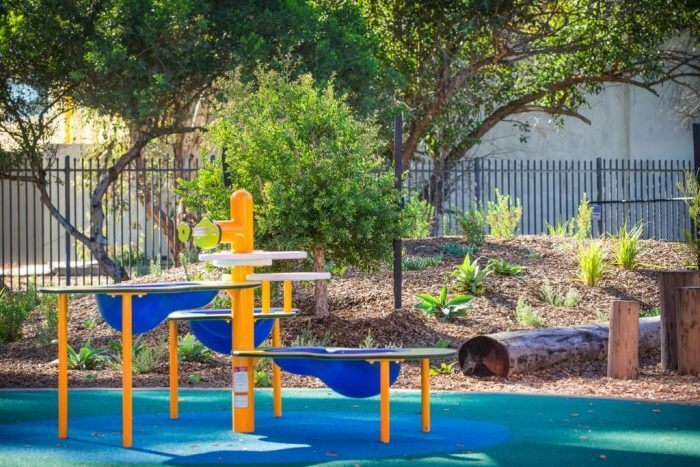 The SwayFun Glider, We-Saw and Inclusive Orbit encourage collaborative multi-user play and team work with all being wheelchair accessible, and a range of Sensory Accessible Panels and Freenotes Harmony Park musical instruments provide stimulation to a multitude of users as they play music, learn, explore, trace, and solve puzzles. 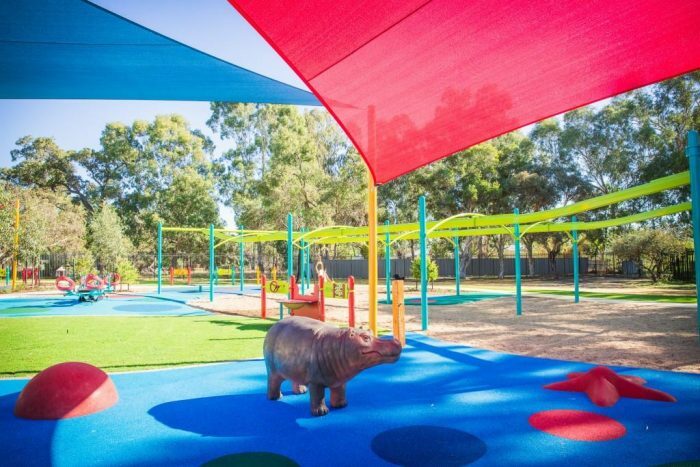 Another highlight to the play area is the misting Hippo – unique and hand painted glass fibre reinforced concrete the hippo is an interactive piece with an activated misting system adding sensory fun. 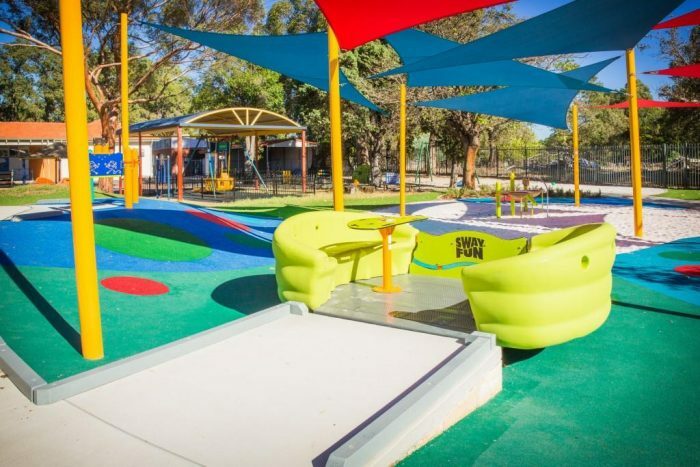 And on another island is the Roller Slide – providing tactile and deep tissue stimulation as users roll down the non-static slide. 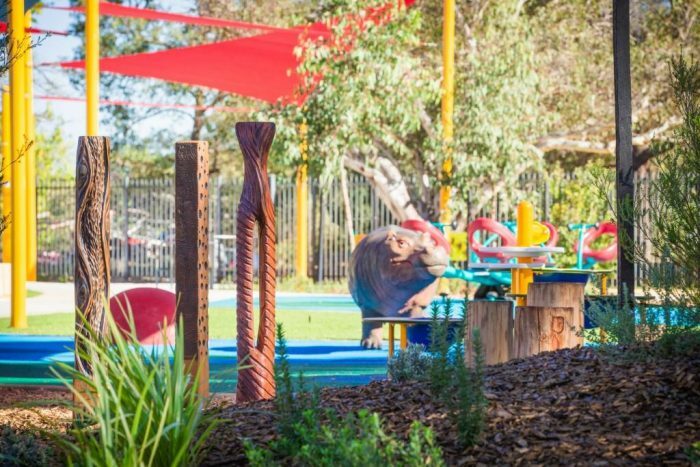 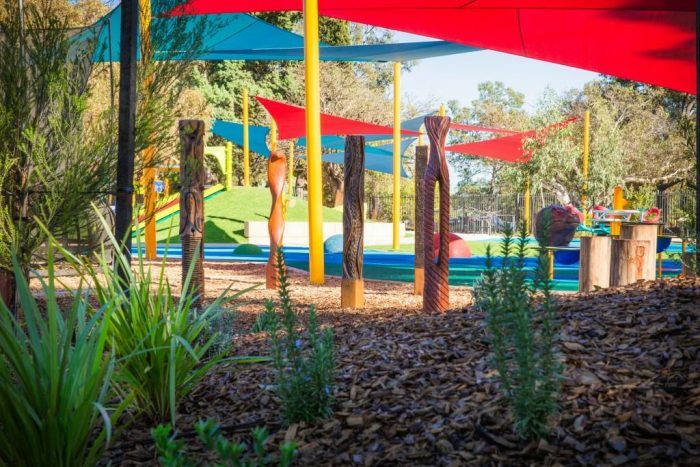 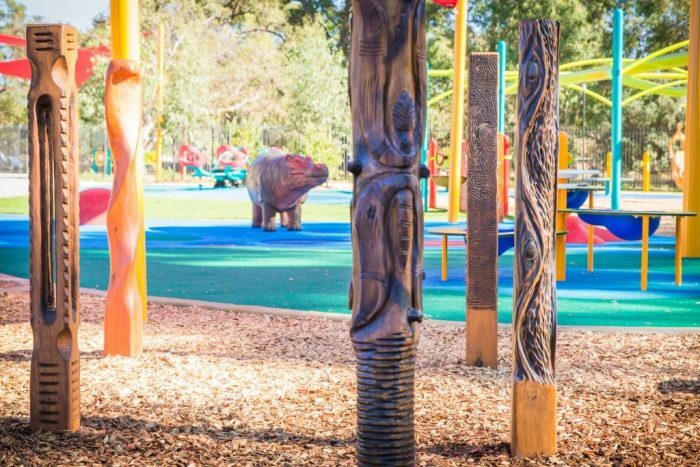 Sensory landscaping with hand carved wood totems, and sand play areas offer more quiet play opportunities, and bring the overall space together – so that the islands join and inclusive play occurs seamlessly. 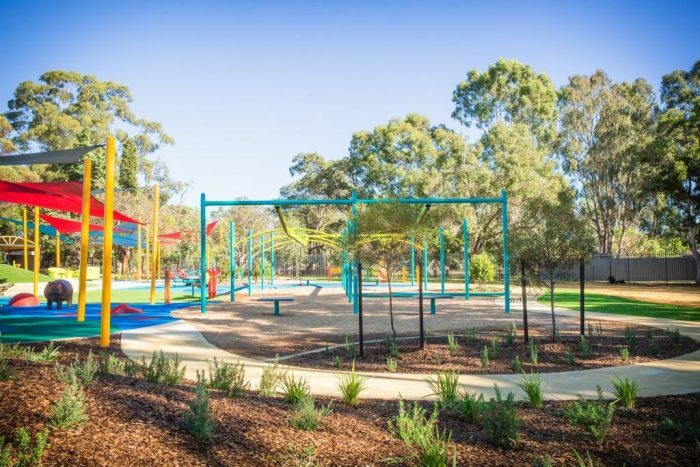 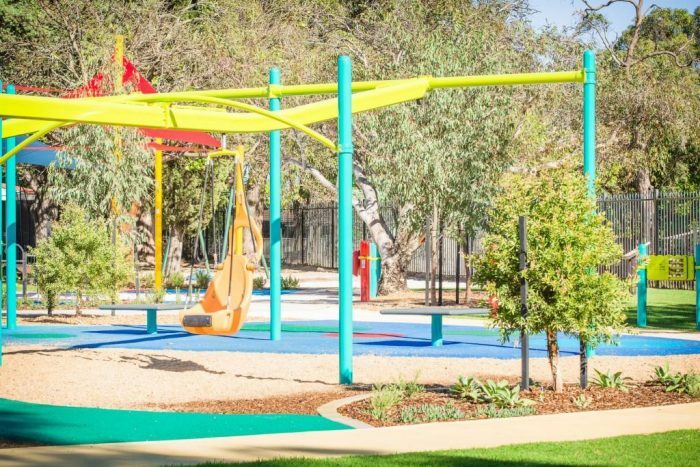 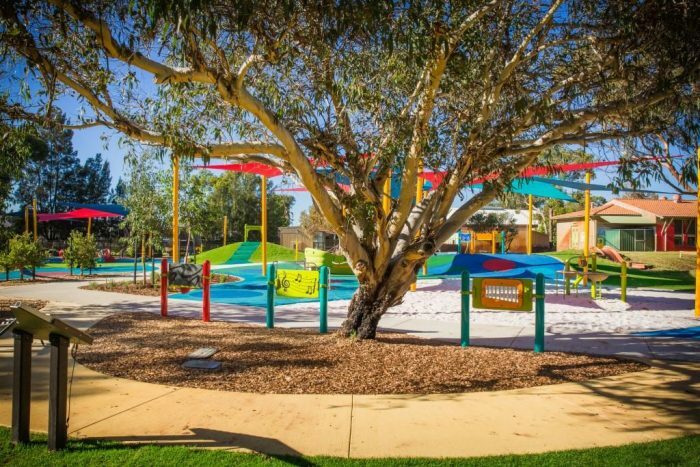 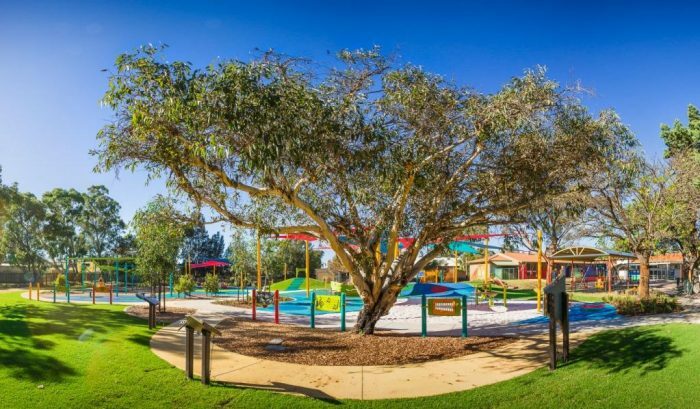 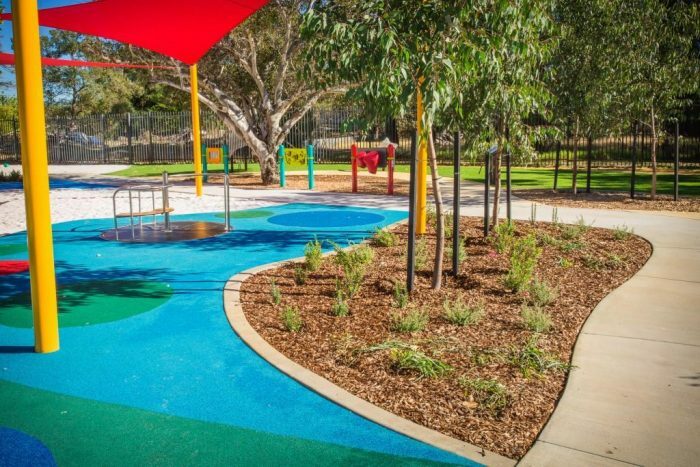 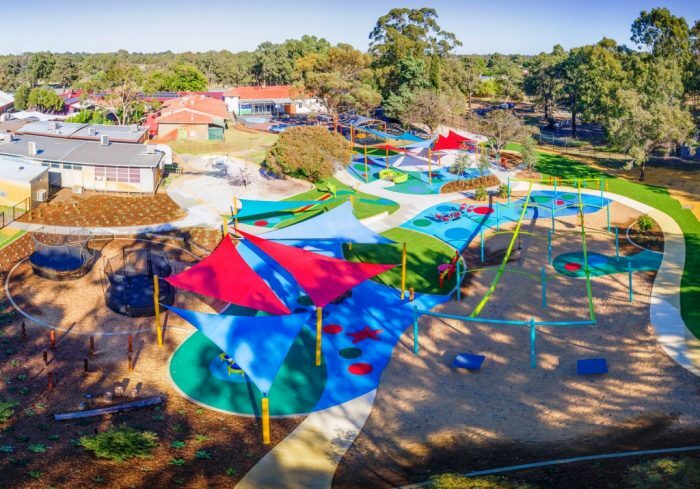 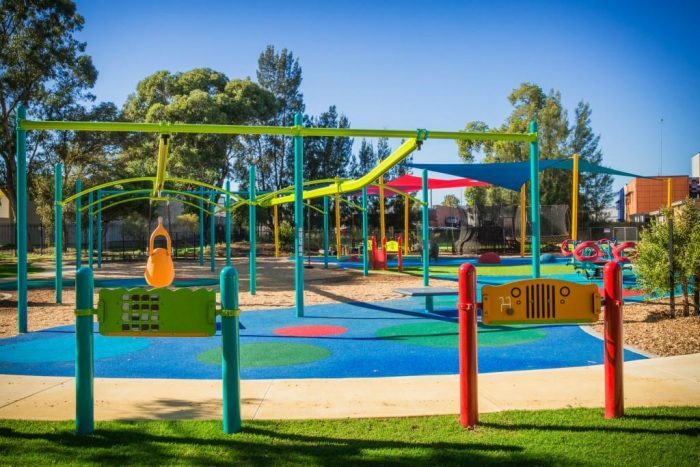 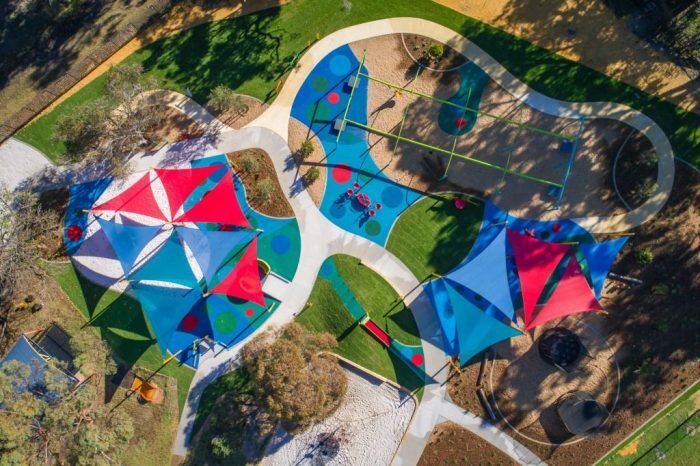 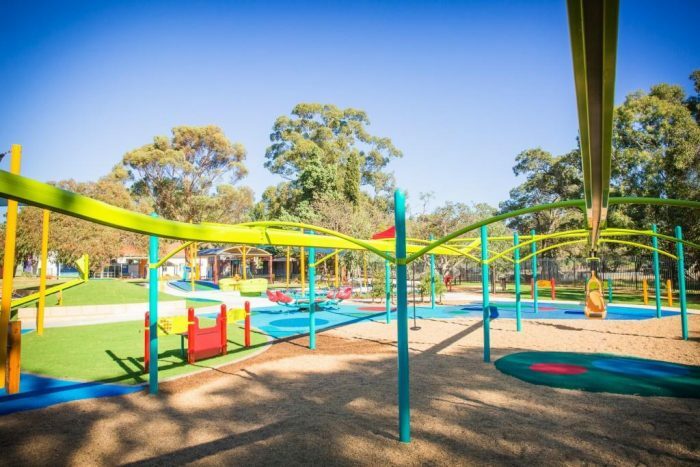 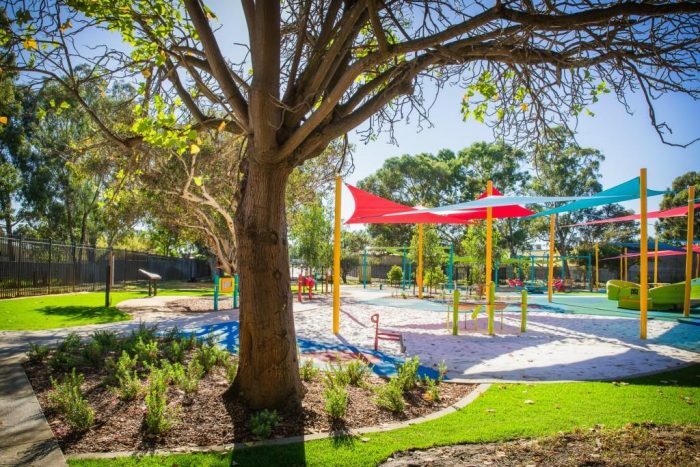 With obvious anticipation from the students at Kenwick, they took on creating a blog on the construction progress of their fabulous new playground – taking photos and sharing their excitement in the development. 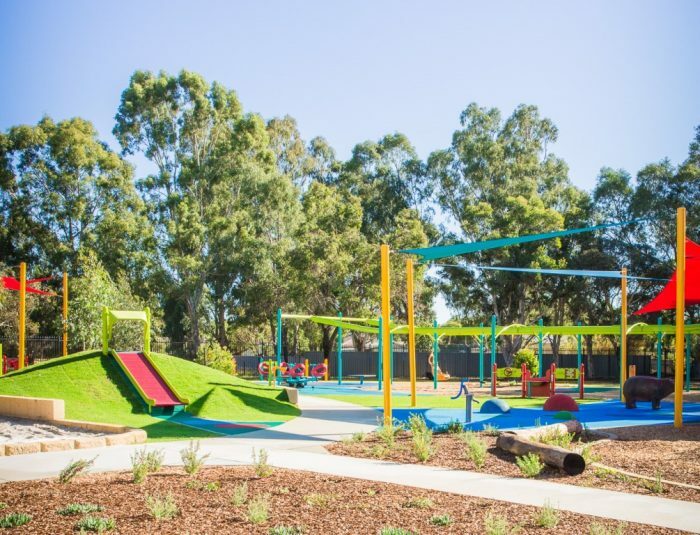 You can read their blog here ……. 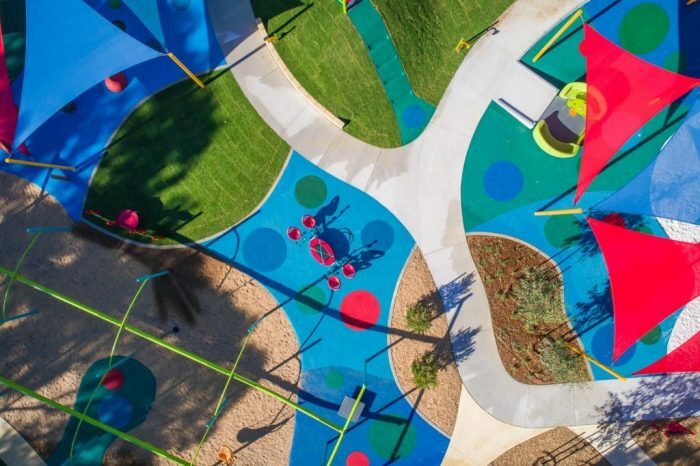 We received so many wonderful photos, we had to include them all!